I think it’s tragic that people have so many prejudices, especially about things they don’t understand. They don’t know what they’re missing. Have you even known someone with: ALS, MS, Parkinson’s Disease, CP, Alzheimer’s, Tetanus, Pinched nerve, meningitis, Huntington’s Disease, Migraines, Epilepsy, Polio, stroke, or any of the other neurological disorder? Would you tell someone who’d suffered a stroke to just talk properly? Unlikely. Would you tell someone with ALS to stop being so lazy? No way. Tell someone with Alzheimer’s they could remember if they just tried harder? Doubtful. Someone with Parkinson’s to stop shaking, that they were just trying to get attention? Improbable. Yet people with Autism are constantly told to grow up, smarten up, man up, stop being so lazy. 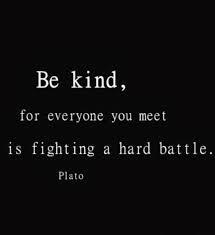 People scoff, blame, bully, abuse, mock, make jokes, call names, etc. Autism is a neurological condition just like any other. They have as much control over how their brain works as any other neurological disorder. Hopefully someday Asperger’s won’t even be a diagnosis, people will start to respect Neurodiversity. Until then, they need help and one of the best places to start is OASIS (Online Asperger Syndrome Information and Support), http://www.aspergersyndrome.org/ where I admit I’m somewhat of a lurker, as I am on most Asperger’s and Autism sites. There to find information and resources for my son, I don’t always feel like plunging into the fray myself. At least OASIS is a respectful site, not prone to the relentless bickering, squabbling, arguing, and bullying to which some Autism sites fall prey. I wish more of the Autism community could pull together, avoid the infighting, and work toward a common goal of helping those with Autism live better lives. I was lucky enough to borrow an ARC copy from Netgalley.com of Asperger Syndrome: The OASIS Guide by Patricia Romanowski Bashe, 3rd Edition, published by Harmony Books/Crown Publishing available October 14, 2014. When my son was diagnosed with Asperger’s years ago there was little information, now there’s a lot of misinformation, but thankfully there are sites and books like OASIS. Full of incredible, insightful inspiration, advice, and more, this comprehensive guide can help put things into perspective when your head is swirling. A refuge on those days when you just feel like crying. Most often showcased as charming, eccentric, funny, cute, and usually brilliant Nerds or Geeks who have great jobs, loyal and caring family and friends, etc. Unfortunately the prognosis is not often that optimistic. I can’t emphasize enough that this is a debilitating disorder, not entertainment. Not functioning is not charming. Not being able to keep a job or friends isn’t cute. Getting into difficulties or danger because you can’t comprehend situations is not brilliant. Being left out, mocked, teased, bullied, or hurt is not funny. Being medicated or hospitalized or jailed is not eccentric. Struggling all day, every day to even grasp some of the world around them isn’t amazing. It may make for good entertainment, but in real life, people have to live with the consequences. Well said. My step-grandson has Asperger’s. Neurodiversity – that’s the word. Great post, and I like the idea of “neurodiversity”. I love how well you represent and share! And I love that you are sharing resources, I am positive it helps out so many! Great article! Someone in my family has Asperger’s and is a highly functioning scientist! I have a brother living with Autism; so your post is just so awesome in my book. Thanks for it. These conditions aren’t entertainment but perhaps the programmes at least raise some awareness of the conditions mentioned. 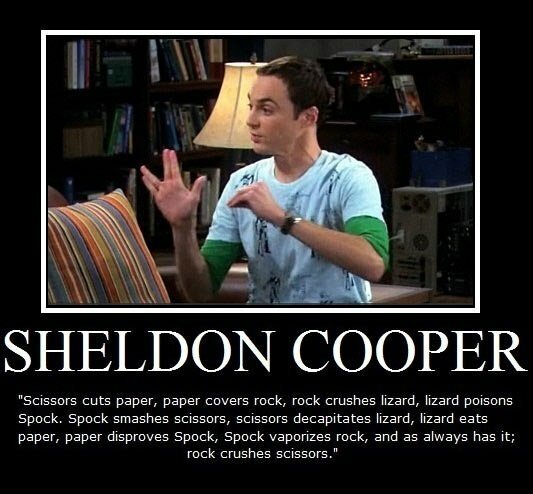 Sheldon Cooper in Big Bang Theory can’t be described as being cuddly, funny or cute. Annoying is probably the kindest description but the way he’s been portrayed does at least open people’s eyes to the fact that he’s that way for a reason and maybe they recognise someone else with similar mannerisms? Anything other than a light touch might turn viewers away so n-one would learn anything so maybe these programmes have some value.Maybe the timing of an educational programme to follow an episode would be good? I’m sorry for anyone who has one of these debilitating illnesses and for the families who often have to deal with it but at least people know more now and can ask questions or query the internet to find out the diversity of problems out there.Understanding takes time. I think there’s much more understanding of being bi-polar than there was years ago and how it’s been portrayed, though not always kindly, has at least brought it to the public’s attention. I believe shows familiarize people with conditions and raise awareness. This sort of learning is done in degrees, first the fear factor is removed, then information is slowly given and then it becomes normalized. Most people see Jim Parsons portrayal of Sheldon Cooper as funny and adorable, in his own way, of course he’s also annoying, but never cuddly because he doesn’t like to be touched. Yes, sadly many portrayals of Neurodiversity, lifestyle differences, illness, race, gender, etc. have not always been flattering, but hopefully as time goes on that will change. Thanks so much for dropping by and taking the time to share your point of view, David, it’s much appreciated. How did i miss this post? Even the title has me in stitches! And all my favorite shows… Fabulous. This is a very helpful article and hopefully will help all of us be more understanding and compassionate. I know an adult who I think has Asperger’s Synddrome –he is undiagnosed–and I am basing it on my observations of him. I have seen him ridiculed and misunderstood. It is sad. I think those who are behaving in that way towards him should know about this–but I do not know how to go about opening their minds to this probability. Hoping they will read your blog! I am reblogging this on my site. Thank you so much! And thank you for your visit to my blog! I think the last saying in your post says it all! Reality and television unfortunately, don’t always mix. Still, it is nice to know that someone with Asperger’s or Autism, and other types of disorders, can be portrayed as contributors to society in positive ways. Yep, this August post still holds up today. It’s one of those cases where art imitates life, only it doesn’t. Truly great post! Neurodiversity. What a GREAT word. I agree with your point about societal expectations and the way individuals with cognitive differences are portrayed on-screen. I’ve worked 22 years in the field developmental disabilities/challenges. Since I’m well-endowed with the multi-layered weirdness of the not-quite-right mind, it helps to work in a field where people are used to (and are more tolerant of) cognitive differences. I have mild Tourette Syndrome and never did well in other fields. My own experiences bear out the truth that people who don’t live with a neurodevelopmental disorder or have a family member struggling to understand tend to ostracize and pigeonhole. . If more people could learn to enjoy each others differences instead of judging or being intolerant…but unfortunately as you know, that seems to be a slow journey. Any time. One of the best things about working in the field of intellectual and developmental disabilities is the ability to relate–as well as using my experiences trying to get answers in order to help others cut through all the error part of trial-and-error. My best days are ones in which my experiences help others. My son’s psychologist said he believes me has Asperger’s and ADHD after testing but wouldn’t diagnose him with it because of his IQ, but to “treat him like he has those disorders.” Rather confusing. I look forward to checking out the sites you mentioned to hopefully gain a little more insight and information. It’s interesting advice. Treating someone like they have disorders they’re not actually diagnosed with seems like unconventional advice. IQ is rarely a determining factor of either of those challenges, to the best of my knowledge. Please read as much as you ca on the subjects, it’s very helpful in dealing with physicians. Yes, he said he meets the criteria for both but has a “genius level iq” so he thinks that’s the cause of his symptoms (I suppose you’d say). Definitely will! Brave. That’s what you are. Thanks for this insight Donna, it helps us to understand more. Dear Donna, thanks for this post, be looking for a feature on Friday. We love you. Pingback: Welcome to Blogger's Pit Stop #35! Pingback: The Blogger's Pit Stop #35 is Open for the Savvy and Giving Blogger! Thank you for this reminder. Kindness is needed toward these things — you are absolute right, it’s not cute — and so many other people and things. You’re a special kind of wonderful. Hugs.